International Baseball Partners (IBP) announced the selection of former MLB scout, Craig Stoves as its new Director of Player Development. Stoves, a veteran international scout with over 25 years of experience in Major League Baseball, was named to head up the newly created player development arm of IBP which aims to train international players for opportunities in professional baseball. Stoves was selected from a field of 10 candidates vying for the top spot to train and develop players from burgeoning baseball countries. Originally from Sydney Australia, Stoves began a successful career in baseball while playing in the Australian Baseball League (ABL) as a middle infielder. He later caught the attention of legendary scout, Fred Ferreira when Ferreira was the Director of International Scouting with the Montreal Expos. He hired Stoves to assist the Expos as the lead scout for Australia scouting operations. Stoves later increased his MLB resume to include the Florida Marlins, where he received a world championship ring for helping the Marlins win the 2003 World Series. Most recently, Stoves worked for the Baltimore Orioles as head scout for Australia from 2015-17. 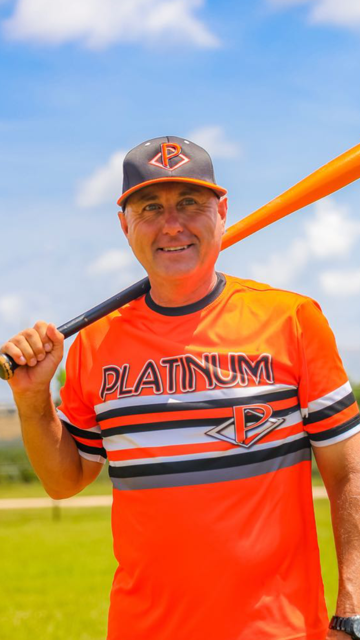 Stoves, who recently was granted U.S. citizenship, has built a stellar travel program in Broward, County Florida known as Platinum Baseball and its sister program the Davie Elite. His travel programs have been ranked with USSSA Top 5 and recognized in the Top 10 nationally. He also is in the process of reconstructing the middle school baseball program at Nova Southeast University’s prep powerhouse, University School.